Do you like Mexican food? 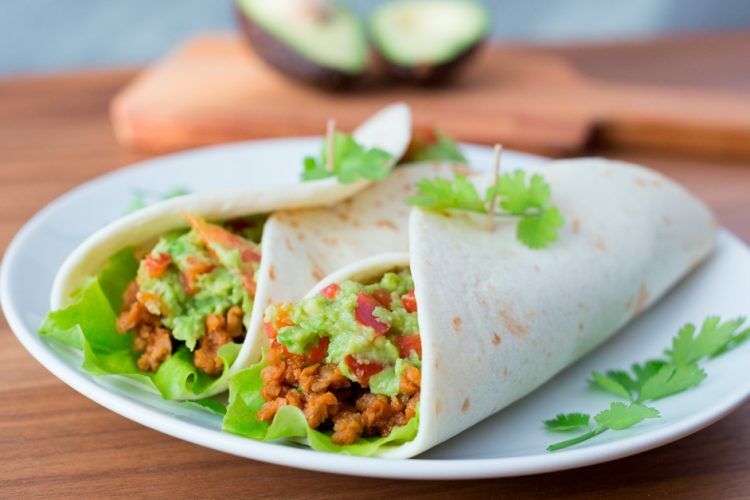 This delicious vegetarian taco wrap is definitely worth a try! Heat 2 tbs cooking oil in frying pan over medium heat. Add Gardein Beefless Ground, taco spice mix and 1 dl water. Mix well and fry until most of the liquid is absorbed and it is heated thoroughly. Finely chop red bell pepper, red onion and chili. Mash the avocado with a fork or in a food processor. Mix avocado with red bell pepper, red onion and chili. Squeeze in the juice of a lime. Heat the taco wraps in a stove or microwave. Fill them with lettuce, GardeinBeefless Ground and guacamole. Roll it together and enjoy! Chefs tips: add more chili if you like it hot!